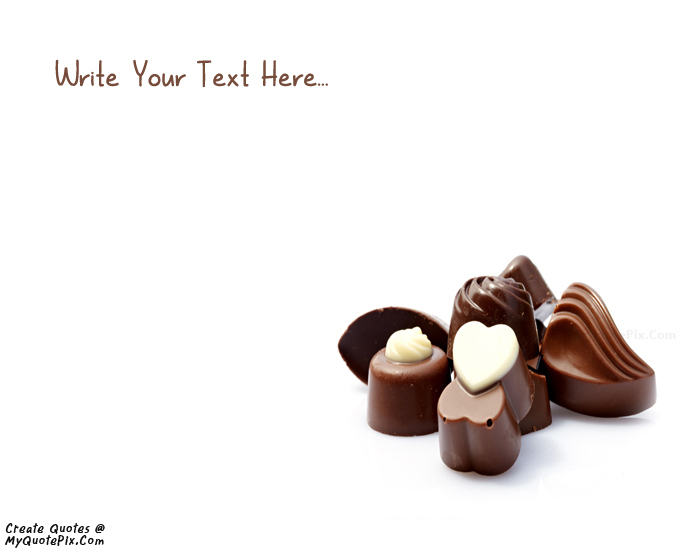 Write quotes, poetry, messages, stories, love letters, aspirations, notes or any other long text on Happy Chocolate Day 9 February 2015 picture from the Wishes category by using this quote design maker. You can share this Wishes quote on your blog and social media. Share this quote design maker with your friends. Far Or Near U Are My Dear, Young Or Old U Are My Gold, East Or West U Are The Best, Start Or End U Are My Chocolate Frnd.., Happy Chocolate Day.